Click picture to register and watch webinar! If you missed ALDF’s recent webinar on captive wildlife, you can watch a recording of the session here. Tony’s case was covered extensively. 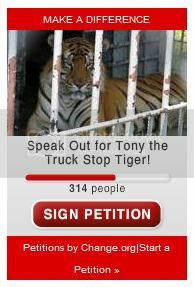 We truly appreciate ALDF’s commitment to Tony and to his release to a reputable big cat sanctuary. They have the positive support of Tony’s friends from all over the world. 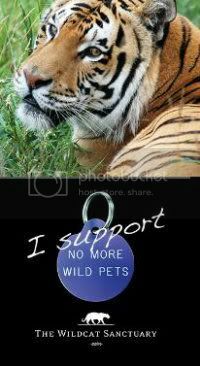 “Many of our supporters care about Tony the tiger. We told you in May that we filed a Freedom of Information Act (FOIA) request to the USDA for the April evaluation of Tony’s health. We asked that the request be processed quickly. This request was denied, and we filed an administrative appeal arguing that Tony, and all animals, qualify as individuals under the act. Today, after receiving a hearing for August 21, 2017, we filed a motion to expedite the hearing. 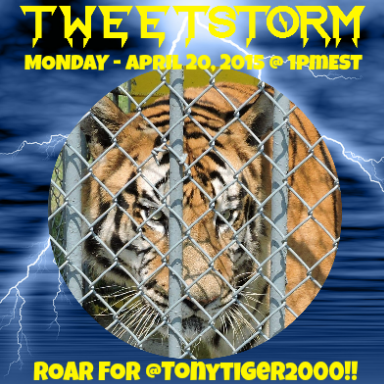 AMBR’s Kevin Gallagher talks with Anthony Eliseuson, attorney for the Animal Legal Defense Fund, about that groups latest efforts to wrest Tony away from Tiger Truck Stop Owner Michael Sandlin and place him in a reputable big cat sanctuary. Click below to hear the interview. 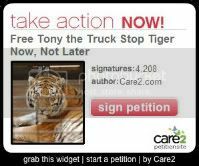 BATON ROUGE, LA (LOCAL 33) (FOX 44) – The long-fought battle to keep a tiger named Tony at the Tiger Truck Stop in Gross Tete continues this week. The Animal Legal Defense Fund filed a motion for a summary judgment in this case. “It’s a procedure that allows the court to enter a final judgment in a case when a party can show that the undisputed facts that demonstrate that they’re entitled to judge as the matter of law,” said Tony Eliseuson, a senior staff attorney at ALDF. Eliseuson said the group is challenging two legal tactics made by Mike Sandlin, the owner of Tony and Tiger Truck Stop, in this case. Back in 2012, Sandlin filed a lawsuit against Louisiana’s ban on private ownership of big cats saying it is unconstitutional. The state later established a law exempting Sandlin from the ban. “In this summary judgment motion, we’ve attacked both of those issues. So, we’ve told the court that the big cat ban is constitutional, and then the second thing we’ve done is we’ve challenged that special law that was designed to just benefit Michael Sandlin and to only benefit Tiger Truck Stop because that violates the Louisiana constitution,” explained Eliseuson. “Then ultimately, there will be a hearing before the court that has to take place. It can’t happen any sooner than 30 days. So, we’re hoping it happens close to that 30 day mark, but then ultimately, the court has the power to grant our motion and that would end the case. The opposing parties would have the right to appeal of course, but it would be a final judgment. The net result of that would be that the Louisiana Department of Wildlife and Fisheries would have the authority then to take Tony and move him to a sanctuary,” concluded Eliseuson. Local 33 and Fox 44 are still waiting to hear back from Sandlin. We are told he will get back to us when he gets into work. Sandlin has told Local 33 and Fox 44 in the past that he will continue to fight to keep Tony, no matter the circumstances. If you want to learn more about this case, click here.